M 1943 Kitel for a cadet of an Artillery Special Military High School (boarding prep school for military academy), 1943-1945 issue. 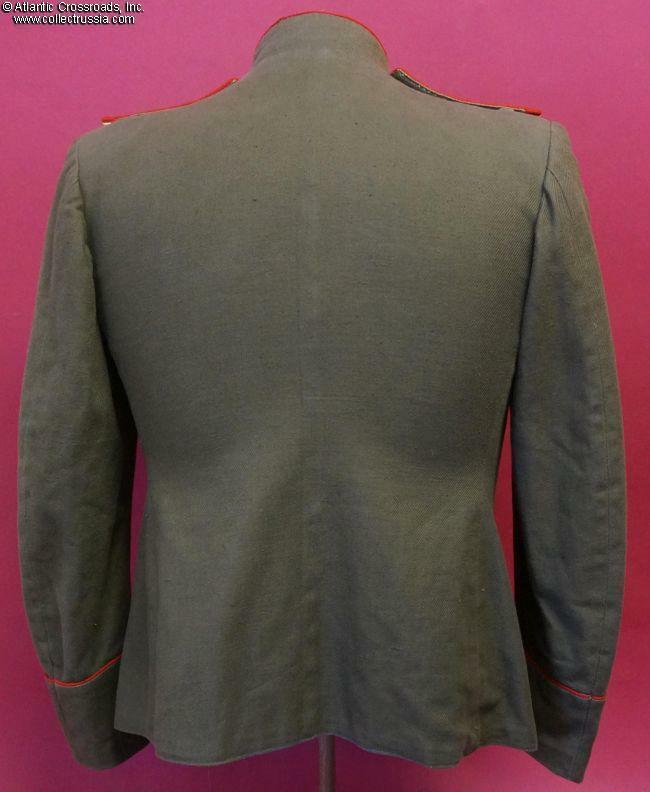 In olive drab cotton gabardine, with red piping on the collar and cuffs. 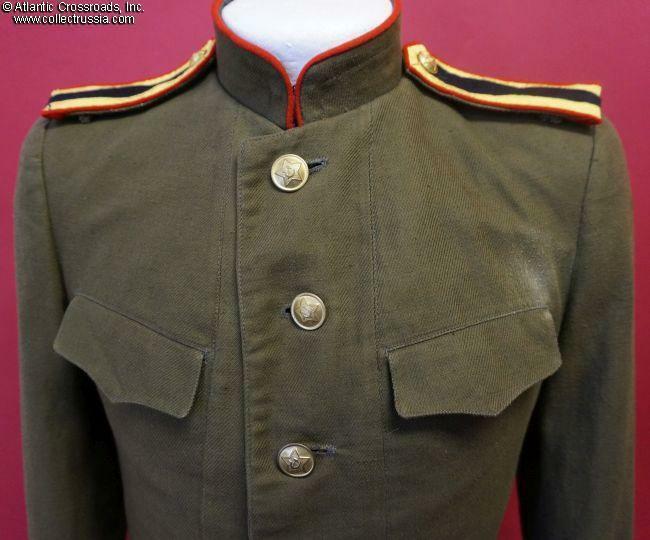 This uniform is the same as a regular M43 service kitel for army officers with the exception that it is made of cotton rather than wool gabardine. 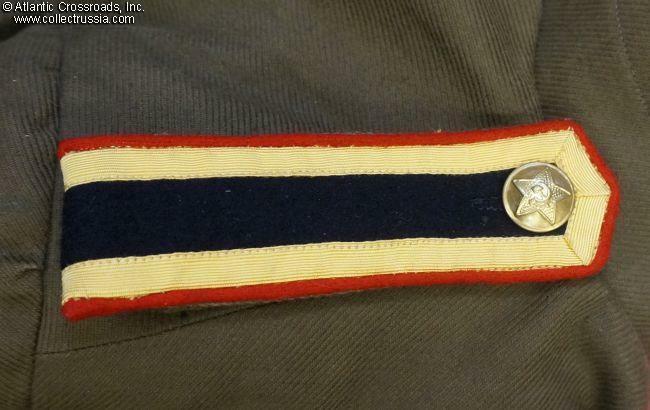 The buttons are WW2 period, undated. 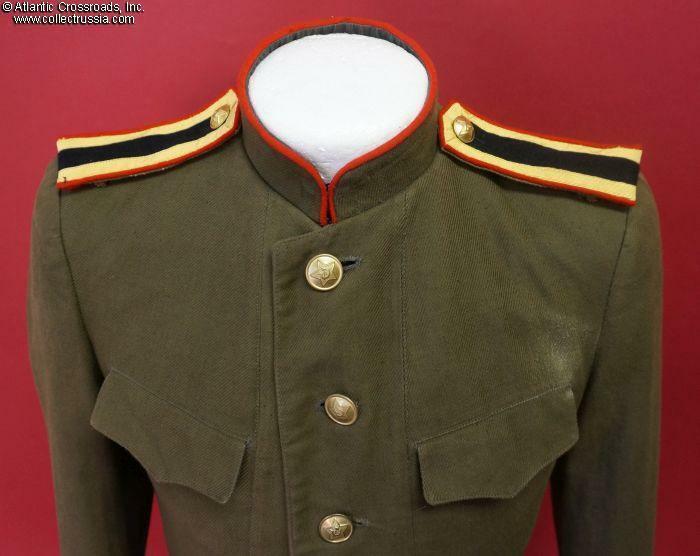 The narrow shoulder boards are of the special type used exclusively by the cadets of the special military high schools, introduced by the same Narkomat of Defense decree in October 1943 as the cadet's uniform itself. 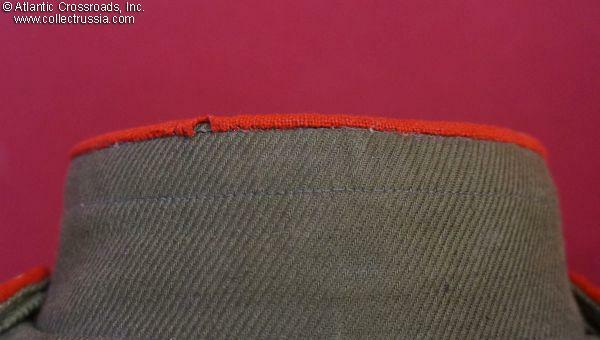 They are soft, 4 mm wide, with gold tress along the edges and red piping (for artillery). 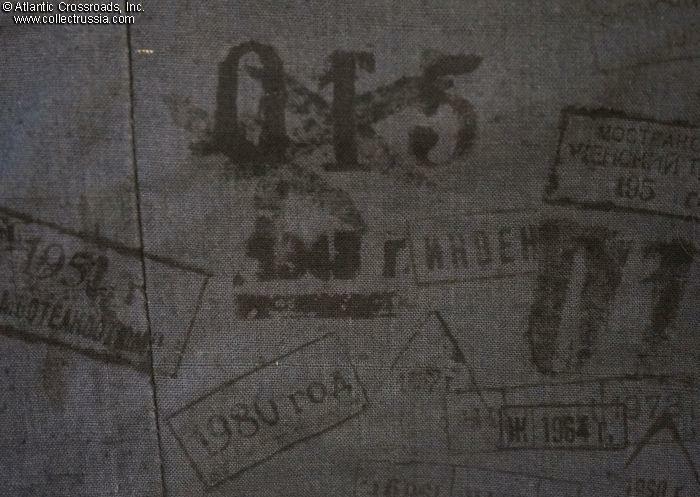 There are stamped numbers on the reverse of the shoulder straps. 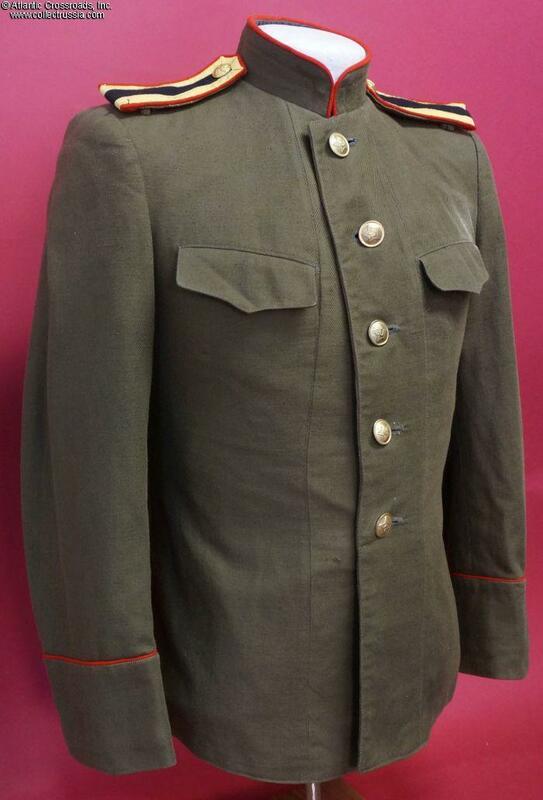 The liner of the tunic shows many inventory stamps of various theatrical and movie costume shops, the earliest of them with a 1945 date (Soviet movie studios routinely used original uniforms in their productions and they were in fact some of the only places outside museums where original WW2 uniforms had a chance to survive to our days). The size is small as would be appropriate for an underfed high school boy of the period. 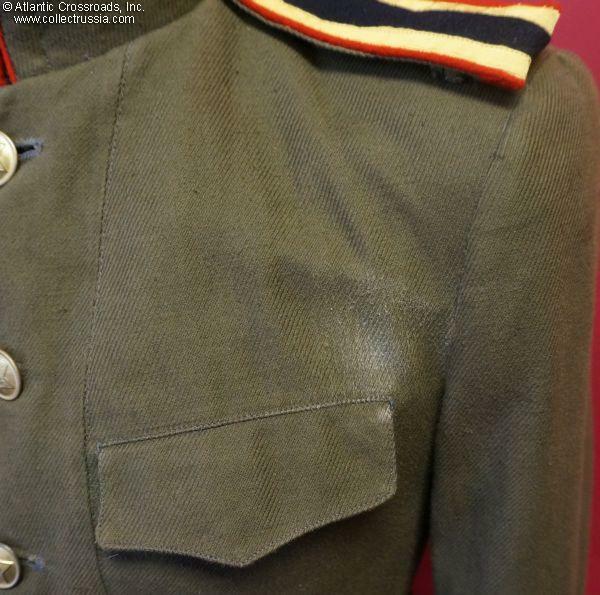 Chest measures about 36" with 22" sleeve from shoulder seam to cuff, 23" from top of the collar in the back to the bottom of the tunic. In very good condition. There is a single small moth bite to the red piping on the neck, not very noticeable. 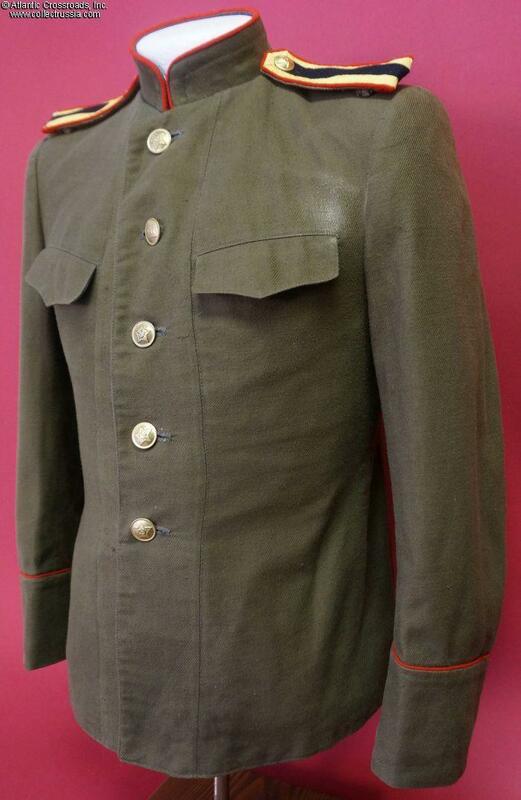 The tunic is very clean overall having just a single small stain above the left breast pocket. 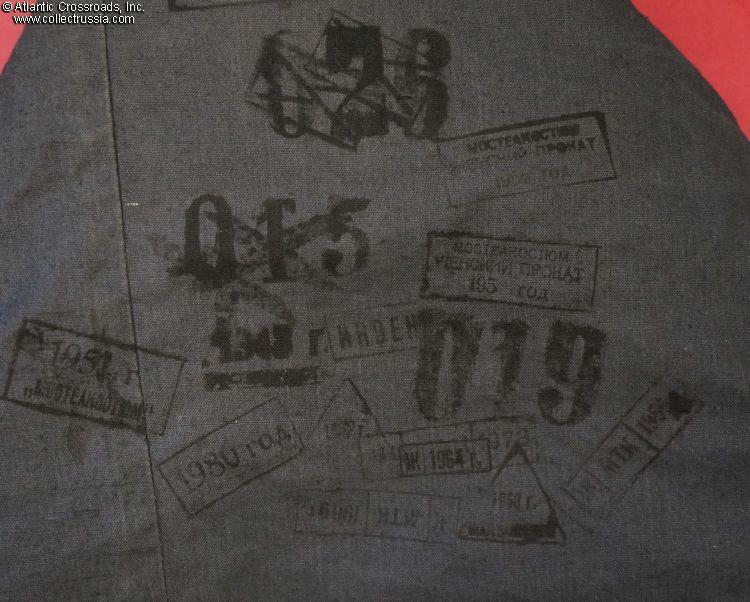 There is a single tiny scuff to the fabric above the left shoulder but no tears or significant damage of any kind. 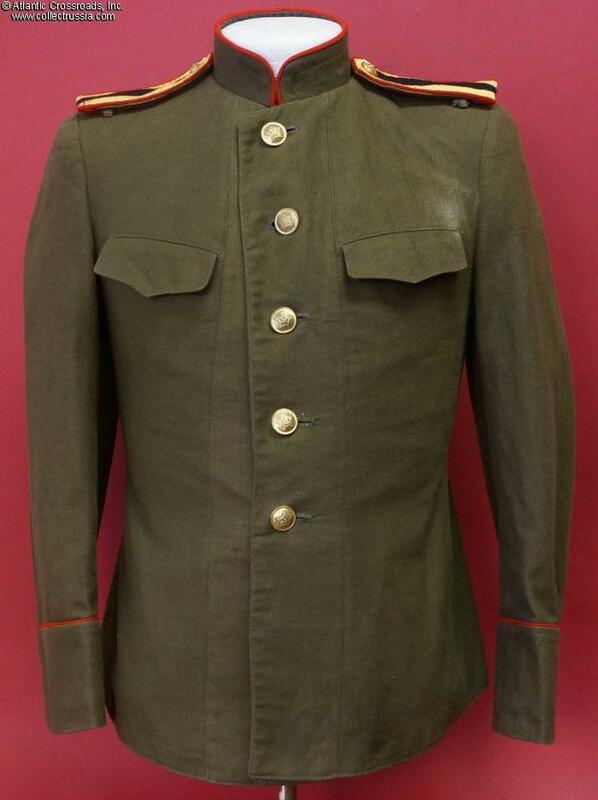 The special military high schools were established in the late 30s on Marshal Voroshilov's initiative. They served as highly competitive "magnet" schools providing intensive military training and regular high school education for the children aspiring to attend a military academy later on. Although attending such school was not a prerequisite for the military academy, the well prepared high school cadets were expected to make core of the more professional students and thus improve the overall level of the academies. 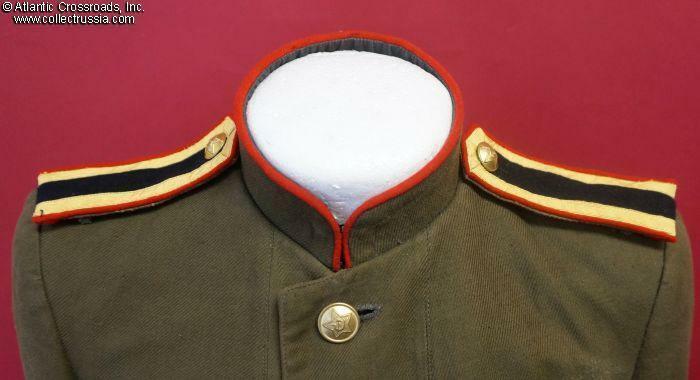 Unlike the Suvorov and Nakhimov junior military schools for middle school aged children (4th through 7th grade), the special high schools were not necessarily for orphans of military officers. Those from military families however clearly held an advantage when it came to admission decisions. The schools proved to be a success and therefore they expanded in numbers early in WW2 encompassing not only artillery but also Navy and Air Force branches. The program was curtailed in the post-war years, as the age slots for the Suvorov and Nakhimov schools moved up to the 8th through 10th grades which previously belonged to the special high schools. The last of the special prep schools closed its doors in the early 50s. 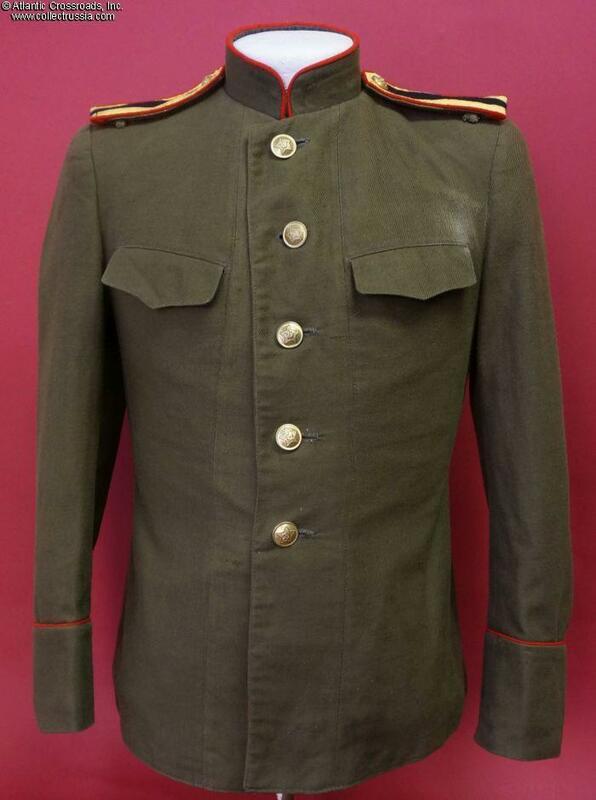 Due to short lifespan of these schools and their relatively small number, uniforms of the special prep cadets are exceptionally rare.